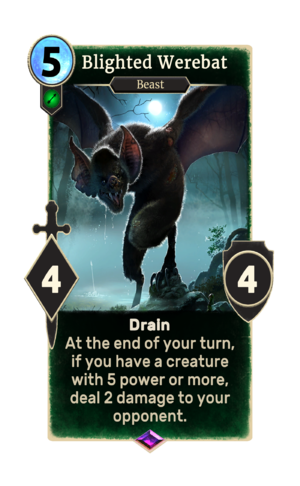 Blighted Werebat is an epic Agility creature card. It is part of the Houses of Morrowind expansion. This card was illustrated by Pedro Otelcana.